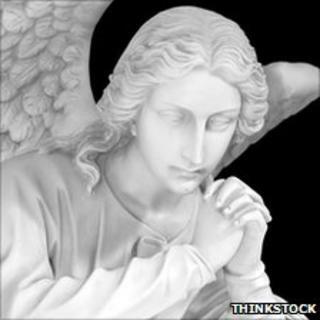 Nearly one in three Britons believe they have a guardian angel watching over them, according to a survey. Online research for the Bible Society and Christian Research into the views of 1,038 people suggests 31% believe in angels, with 17% unsure. One in 20 told pollsters ICM last week they thought they had seen or heard an angel, with 29% saying they thought a guardian angel watched over them. The Bible Society says it indicates that many people have a spiritual need. Its programme director, Canon Dr Ann Holt, said: "There is plenty of evidence that there are presences in this world beyond the human. "An angel is God's messenger and the Bible affirms this through the many appearances of angels in different forms."